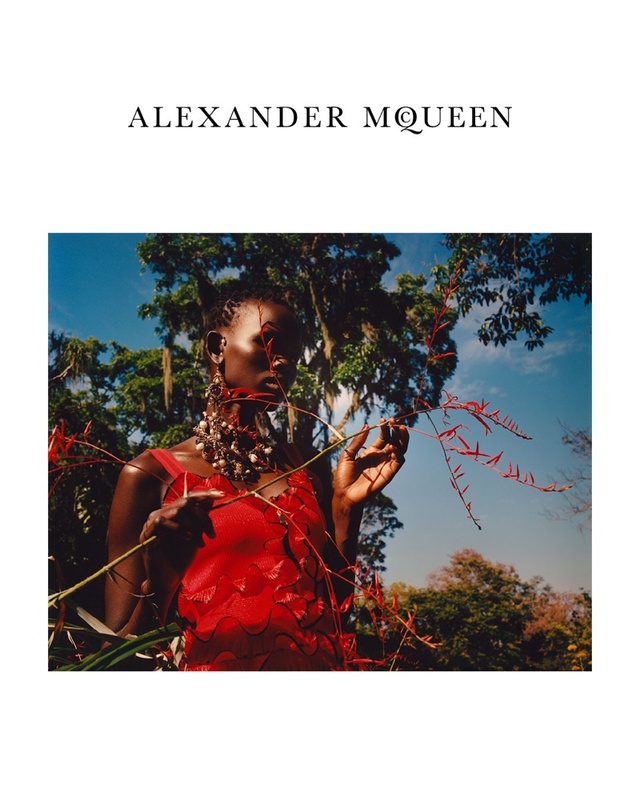 Alexander McQueen once again taps Jamie Hawkesworth to photograph its spring-summer 2018 campaign. 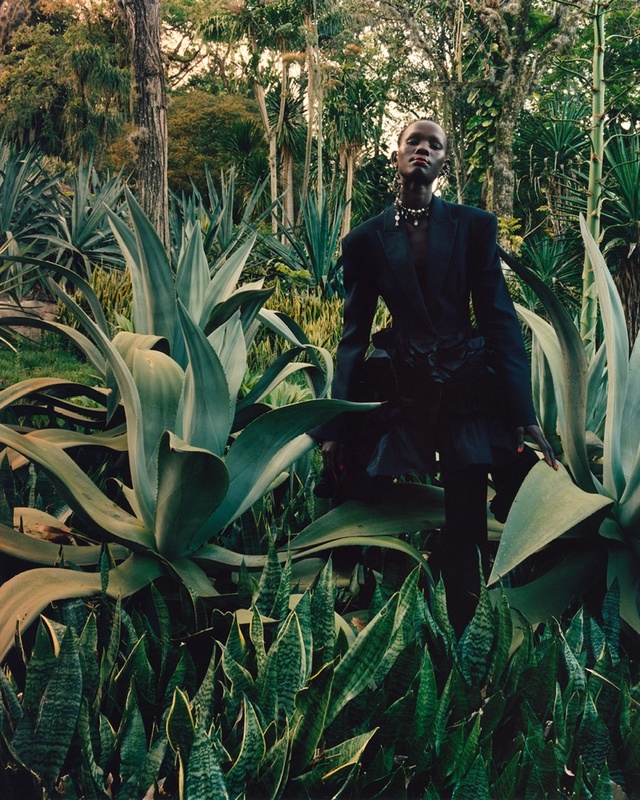 The advertisements head to the lush outdoors with Kenyan model Shanelle Nyasiase. Creative director Sarah Burton's ruffled dresses, floral embroidered gowns and tailored jackets stand out in the images. M/M Paris worked on creative direction for the shoot.